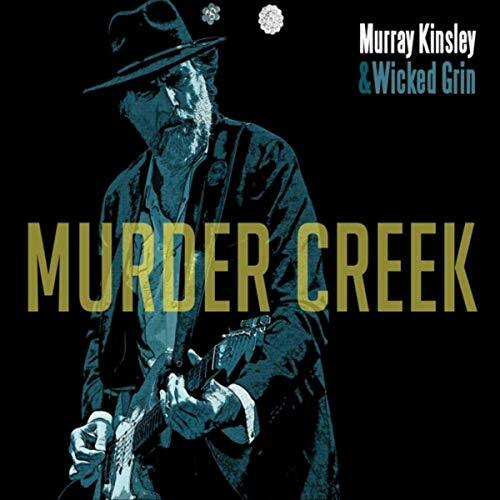 I just had the opportunity to review the most recent release, Murder Creek, from Murray Kinsley & Wicked Grin (cool name by the way) and it's a solid blues rocker. Opening with 70's Brit style blues style rocker, This Old Dawg, featuring Murray Kinsley on lead guitar and vocal, Rod Williams on harp, Leigh-Anne Stanton on bass, Tom Bona on drums, Sonny Del Rio on horns & Jesse O'Brien on keys this band is standing on solid footing. Latin rhythms permeate Dance The Blues with cool, floating harp work by Williams working nicely with flowing guitar lead by Kinsley. Very nice. Electrifying slide work opens heavy bottomed, Trouble Coming, a cool, deep rocker with solid vocals and loose guitar and harp work. Interesting. Traditional blues styling on So Long, Too Soon, makes it the likely candidate for top track with soulful vocals and Kinsley's bluesiest guitar soloing on the release. Very nice. Bass driving rocker and title track, Murder Creek has a great bottom just begging for guitar and harp soloing. Wrapping the release is Freedom, a solid rocker with vocal work with Kinsley and Mary Jane Russell. Stanton really works the bass line and Williams' harp work adds to the tension as it builds to Kinsley's guitar soloing, taking the track home. Nice closer.